Thank You for Visiting Online Our Gallery. “As an artist, I want to give you the opportunity to stay in touch with my work both existing and new. Very Excited that our work has gotten some screen time. 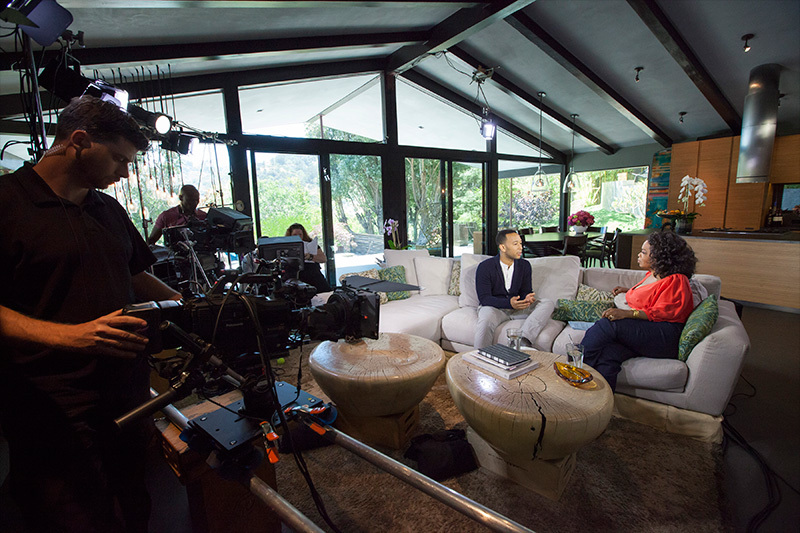 Check out the below clip from the upcoming John Legend interview with Oprah. Our tables are right in front of them. Oprah sits down with nine-time Grammy winner John Legend to talk about his first solo album in five years and his friendship with Kanye West. John’s fiancée, model Chrissy Teigen, joins the conversation to discuss their relationship and tabloid rumors of infidelity.